Say it ain’t so, HubSpot! I have written many times complimenting HubSpot. I genuinely admire the company and like the people I’ve met who work there. Tomorrow, I’ll even be writing a blog post in defense of HubSpot concerning their dust-up with Dan Lyons. Along with Marketo and Eloqua, HubSpot has helped educate thousands of marketers about the power of marketing automation. However, as a founder of SharpSpring, it’s difficult to stand by without correcting some misrepresentations that some (hopefully rogue) product marketing manager concocted in an apparent attempt to keep HubSpot agency partners from adopting the SharpSpring platform. New partners inform us on a regular basis that HubSpot salespeople resort to fear tactics to try to win deals. They do so by questioning “the uncertainty of (the SharpSpring) business model” and then going on to make highly inaccurate statements about our revenue, corporate structure and other talking points. Well, HubSpot is intentionally or unintentionally misrepresenting the facts, and we think it’s unfair and a bit disappointing. It certainly doesn’t live up to HubSpot’s “marketing that people love” mantra. I suppose the typical “value proposition” arguments of price, features and support simply won’t work for HubSpot when they’re compared to SharpSpring, so this is their solution. For the record, we built our business around marketing agencies, and we are growing rapidly. In the two short years since we launched, nearly 1,000 digital marketing agencies around the world have signed up to be a SharpSpring partner, and we expect to nearly double that by the end of the year. We estimate more than half of them have come from competing solutions, and maybe 80% of those from HubSpot. That means hundreds of HubSpot agency partners have decided to go with SharpSpring. So we get why the HubSpot marketing machine has produced canned “kill sheets” to try to address the problem. We get why they’re doing surveys to try to understand what agencies find attractive about SharpSpring. What we don’t get are the tactics of misrepresentation and unsubstantiated innuendo. We understand agencies – we don’t compete with them. We never stand between an agency and its client(s). We provide a rebrandable platform that supports the agency. We are as little a 1/10th to 1/20th the cost of HubSpot. That’s right, 1/20th the cost for agencies. 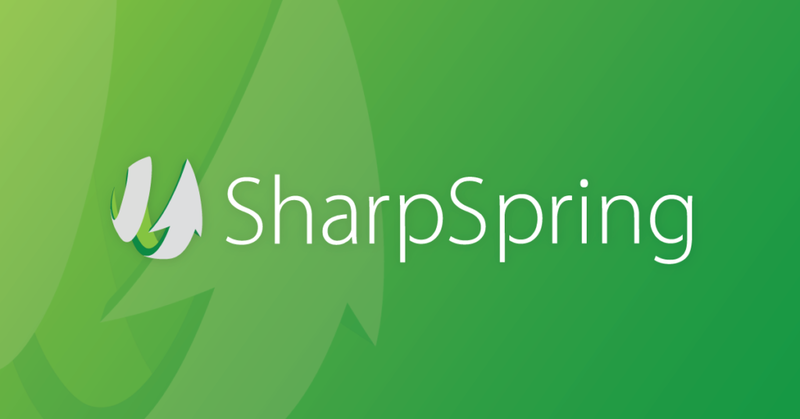 We see agencies saving $5K/month on a single client by using SharpSpring instead of HubSpot. We don’t TRAP anyone! Our platform rocks. No need to trap an agency or its clients into a one-year commitment with payment for the year due in advance. If you don’t like SharpSpring and you aren’t seeing the value, you can leave at any time. 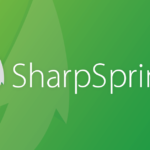 Agencies that work with SharpSpring are partners, not resellers. We license our agencies the SharpSpring platform and let the agency decide if and how much to charge its clients – because their clients are theirs, not ours. We fit where HubSpot doesn’t. HubSpot, with a $5K setup fee and $2,400/month price for comparable marketing automation with 10,000 leads, is incredibly expensive. 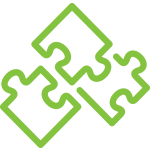 An agency can get all that for next to nothing with SharpSpring. That means the agency can bring the power of marketing automation to its entire client base for less than the cost of a single HubSpot license. The SharpSpring platform is powerful. It includes full-featured marketing automation, analytics, anonymous web visitor tracking, call tracking, an API, CRM synchronization, dozens of other integrations, and we beat HubSpot to market with an integrated CRM by more than year. HubSpot is a great platform, and the people there are great too. But guess what, they aren’t the only game in town. We love our platform and our price point. We love the idea that we’re allowing small businesses and agencies to succeed in ways never before possible with a platform that is both powerful and affordable. To be entirely fair to HubSpot, below I have copied one example (of many) of an unedited email that they send to folks. I added comments so you could see where we disagree and where we think they’re just flat out fibbing in order to try to compete. Enjoy the read. Thanks for following up. I think we’re going to hold off for now. We have moved forward with SharpSpring which is very different from HubSpot and more on the marketing automation side and we are going to focus on 1 new platform per quarter for now so let’s circle back around summer time. Nothing personal to you, but Hubspot blew it with us about 18 months ago. I later talked with directors and others, but by then it was too late. You guys have a great reputation and content, but for my clients, too expensive and contract-intensive. We discovered SharpSpring that same day when we were rejected from Hubspot and instantly were impressed. They have been working with us and our clients with a no-frills, month-to-month pricing structure, dedicated support team to our small account, and customization help when we need it. They jump on presentation calls with clients, reach out to see what else they can do, and just overall treat us like a valued client and not just another notch in the sales belt. All for one simple monthly price which has really allowed me to grow my business by structuring my engagements as content experts leaning on a really great tool. So, thanks for reaching out, but no thanks. My comment: I hid Shaun’s last name because the following is clearly prepared by some marketer, and this is not his fault. He’s just trying to save a deal. I’ve been there, bud. I understand, sorry for the poor experience you had. I can’t speak for the other sales rep you worked with, but I work extremely closely with my partners, and fly out to see them at least once a year for on-site strategy meetings. I am currently helping one of my partners hire a business development person, and build a playbook for their training/hiring. So please dont equate that poor experience to how the program treats partners like another “notch in the sales belt”. That is definitely not the perception we want to craft at HubSpot. SharpSpring is owned by SMTP, a small public company with revenue of less than $10 million last year. The consolidated company ended Q1 2015 (March 2015) with just $2 million and cash, while they lost $600 thousand in cash flow from operations in the quarter. While the company can, and will probably need to, raise more capital, the pace at which they can reinvest into their platform is questionable. My comment: Fear tactics and factually inaccurate. SharpSpring did $14.6M in revenue, achieved 62% YoY growth, and ended the year with $4.2M in the bank in 2015. Finally, SharpSpring is not owned by SMTP. The company is called SharpSpring now, and we are listed on the NASDAQ (NASDAQ: SHSP). We are super healthy and growing fast, or HubSpot would not be so concerned. With regularity, partners have stated that their ability to influence the direction of SharpSpring’s platform was an important reason they chose to work with the company. However, given the financial position of the business, to what extent can they truly reinvest into the buildout of the platform? My comment: More transparent fear tactics. And yes, our partners do influence the direction of our platform – thanks for acknowledging that. On the other hand, HubSpot has raised over $100 million and we are heavily investing in our platform and customer success team. In 2014, we had revenue in excess of $110 million and we invested more than $25 million in R&D to improve our platform. My comment: HubSpot lost $49M in 2014 and $46M in 2015, according to their financial reports – spending over $100M in each year on sales and marketing. I think you guys would be a valuable partner, I would love to work with you, but if the timing isn’t right because of past experience then lets hold off. I will check in though a few times a year because again, I would love to work with you guys and craft a true partnership. Can we connect on LinkedIn to stay in touch? In summary, Hubspot is a great platform and a great company. We only object to the fear tactics – they are uncalled for, and the “facts” they cite are simply untrue. I’d like to think this is a rogue product marketing person, but we’ve seen the same info sent to partners repeatedly over the past year. Their platform is great, but if only 10% of businesses can afford it, or marketing agencies are less healthy because half of their client’s retainer goes to HubSpot, then that’s a real problem. We feel like SharpSpring is the very best marketing automation value on the planet, and we’re unapologetic about our agency pricing model. Great software doesn’t have to be expensive. It just has to be built by people that care. HubSpot is a company trying to sell software. So are we. 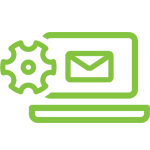 If you’re considering adopting a marketing automation platform, we’d be honored to hear from you.